Fairness, equality and social innovation have been fundamental to Naheed's personal values and she has found a way to extend these values into her business. High-performing organizations recognize that the aim of diversity is not just meeting compliance targets, but tapping into the diverse perspectives and approaches each individual brings to the workplace. Naheed qualified as a solicitor in the early 90's and practiced human and civil rights. In 1999 she co-founded Contracts IT which provides tech staffing solutions to a global community. She oversees the recruitment functions of the organisation to include recruiting strategies, providing insights on strategic growth, global trends and HR. She has been fortunate to have forged a successful career doing something which she enjoys and where she feels that she can make a real difference. Having a mission driven purpose in business allows her to satisfy her wider goals of fairness, social innovation, and long term change. She is a keen supporter of gender diversity and in empowering women and is actively involved in forums, debates, thought leadership and presents on matters relating to IT recruitment, diversity and inclusion. When did your journey in tech industry start and do you have other members in your team? Contracts IT was founded in 1999, I am the original cofounder. From humble beginnings in my mother's bedroom, we now have a sizeable global operation working across Europe and internationally. Our business strategy is simple. We like to develop a competitive advantage for our clients and provide an equal footing for our candidates by removing any bias from the the recruitment process. We link exceptional technologists with some of the most innovative organisations in the world. We cover tech workforce solutions across the traditional technology spectrum and new technologies such as interactive and digital technologies, AI, big data, cloud, social and mobile trends. Our collaboration with Wonder Women Tech started in 2015, I was thrilled to have been invited onto the WWT Advisory board (UK relations) in 2016 and the idea for #WeAreChangeMakers London came about through discussions for WWT going global. Our shared interests culminated in the creation of #WWT2017 London! So this April we will join forces for WWT's inaugural conference in London leading on from the success of Wonder Women Tech in the US which crafts revolutionary content that creates a shift in diversity and inclusion in the STEAM (science, technology, engineering, art, math) industries. They spark discussions for future innovators, cultivate inclusion and collaboration within community, and link sponsors and partners with those seeking real opportunities in work or internship. 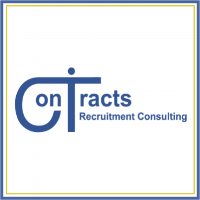 Contracts IT Recruitment Consulting has been operating for 18 years. I've enjoyed nearly every phase of our business growth and our evolution into an international, yet boutique workforce solutions company. We offer a holistic approach to tech staffing and tech diversity where we integrate our recruitment strategies with the talent strategies of our clients and align with their CSR objectives. This allows us to fulfil our purpose with our clients, our candidates and society. Some hurdles included: widespread preconceptions around women owned and ethnically diverse businesses ( bearing in mind that we set up in the 90's, and during the proliferations of "yuppiedom". Our value proposition was not embraced in the same way that it has been in the past ten years - there were challenges around investment, staffing, being a diverse SME and competing with the largest traditional global staffing agencies in the U.K.
Ironically our perceived weakness became one of our greatest strength. We were founded in 1999, when the tech recruiting industry was awash with male dominated organisations promoting a particular brand of tech recruiting and the process by which talent was selected for organisations. Tech workforce diversity and inclusion wasn't 'trendy', it wasn't uniformly welcomed and there was no concept of a robust and proven business advantage similar to that which is widely accepted by business leaders today. Being a woman, being ethnic and being muslim could have been a triple penalty. Possibly? But I didn't have that mindset neither did I have the time to ponder over it. I was raised by liberal thinking and amazing parents, I grew up in an incredibly integrated environment and that directed my mind to dwell on the positives whether in success or in failure. • Winning the BMS Business Scholarship to the Tuck Business school US. The program has a healthcare focus and will bring together business owners from across North America and the UK later this year in Chicago. What are projects you are currently working on within your company? We've traditionally worked with the private and public sector covering areas within the telecommunications, finance, utilities and professional consulting. We've been really fortunate to have worked with FTSE 100 & 500 clients and international government in Europe. We're particularly excited about working with some global companies and mature startups where we've been helping workforce strategy and planning in areas such as FinTech, EdTech, BioTech; mainly in the areas of artificial intelligence, robotics, cyber security and virtualisation. It's an amazing and inspiring environment where we've collaborated with companies to promote technology for good whilst helping with tech diversity. We were delighted to have been selected as a Government Digital Marketplace supplier. GDS is part of the cabinet office and their job is the digital transformation across the government departments. What will be the key trends in the tech industry in the next 5 years and where do you see it heading? Wearable technology is huge and it makes sense. It's convenient, it allows self improvement and it's so, so much more than a smart watch. Fuelled by our insatiable appetite to get smaller and faster we'll not only be wearing our tech on the outside but perhaps on the inside too in the not too distant future! It has phenomenal application in sport, medicine, personal health, and in the security of a country - so we just need to keep watching this space! #WWT2017 will be STEM fest for all but with some very important messages being delivered by members of government, international thought leaders and experts in the STEAM industry. It will showcase role models men and women, who are leading the charge and creating a path for our youth and for tomorrows leaders. It will highlight the versatility and the many applications of STEAM, how it touches everyone's life and will become an even bigger part of our future. The future can only be enriched by the strides made in STEAM and properly managed, it can benefit all. Maggie Philbin - because I grew up watching "Tomorrow's world" - Maggie being one of the first visible women who made tech cool! Reshma Saujani - through her nonprofit organisation, Girls Who Code, she initiates young women into the tech world. Jude Owner - I just love her application of tech for good. After 12 years making games for education and training, she went on to create an international games platform with a social conscience - Playmob. This interview was conducted by Marija Butkovic, Digital Marketing and PR strategist, co-founder of Women of Wearables and Kisha Smart Umbrella. She regularly writes and speaks on topics of wearable tech, fashion tech, IoT, entrepreneurship and diversity. Visit marijabutkovic.co.uk or follow Marija on Twitter @MarijaButkovic @Women_Wearables @GetKisha.